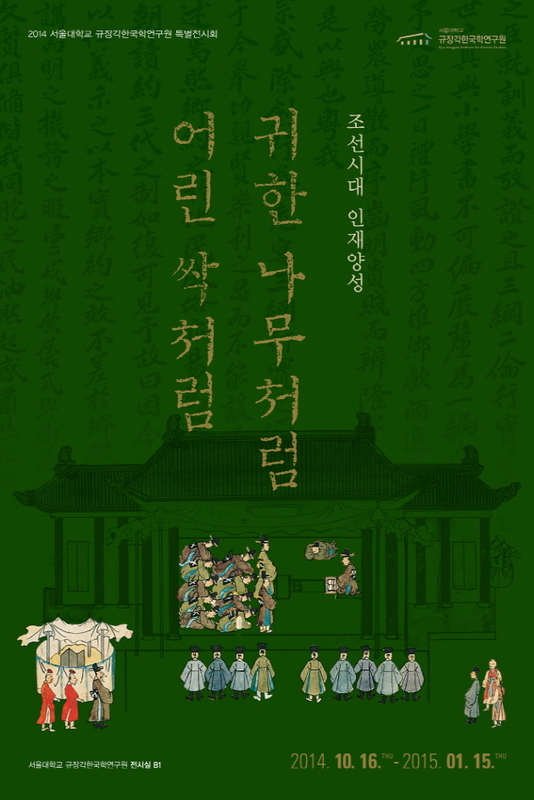 According to King Jeongjo, who established Kyujanggak, scholars are the driving force of the nation, and therefore the king needs to respect them and nurture them carefully as if they were precious trees and young buds. He thus took it upon himself to personally meet students at Seonggyungwan, and sometimes even gave orders to recommend wise scholars for office. At its founding, the Joseon dynasty pledged to do its utmost to cultivate and select for office men of talent, and henceforth the fostering of those with talent, scholarship, and initiative became a task that engrossed all of Joseon society. It is against this context that King Jeongjo’s statement has to be understood. This special exhibition has attempted to recover every possible trace of the efforts that went into the nurturing of talent during the Joseon period. We hope that it may provide a valuable opportunity to reflect on the problems facing education in the present day.